You might not remember the olden days when pubs only sold one or two beers on tap, with maybe an exotic 'foreign' bottle of lager or two in the fridge, specially for Gary who went on holiday once. People think we're living in difficult times now, but boy those olden days sucked. Nowadays the beer selection is only limited by our imagination and room out the back to stack 'em up. We've got a great core range, from high street brands to micro brews, with a regularly revolving roster of guest tipples on tap. Here's a few of our recent favourites. A trio of IPA! Brighton IPA 5.5%, Monteith’s IPA 5.5% & Brooklyn East IPA 6.9%. Tasty! 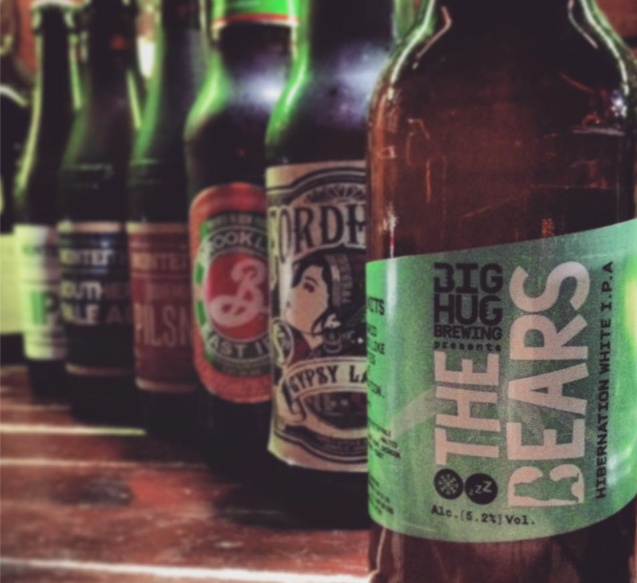 Our latest edition to the craft beers is THE BEARS WHITE IPA! 5.2%, made in England and each bottle you buy saves one square foot of rainforest! Awesome! Come and try our latest edition to the bottled ales! Hophead and Sunburst Golden Ale from Dark Star Brewing Co.